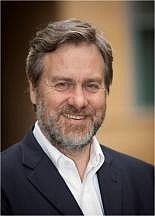 Professor Ben Kiernan is the multi-award-winning author of Blood and Soil: A World History of Genocide and Extermination from Sparta to Darfur, recipient of a 2008 Gold Medal for the Best Book in History. In this illustrated lecture, he identifies powerful connections and patterns that, for nearly every case of genocide, gave early warning of the catastrophe to come: racism or religious prejudice, territorial expansionism, and obsessions with antiquity and agrarianism. He highlights the rich historical evidence and the importance of its tell-tale signs for predicting and preventing future genocides. Ben Kiernan is currently considered a "single author." If one or more works are by a distinct, homonymous authors, go ahead and split the author. Ben Kiernan is composed of 5 names. You can examine and separate out names.